I came across a quote online the other day that truly hit home to me and one that I thought was worth sharing with you. Sometimes, the smallest step in the right direction ends up being the biggest step of your life. Tip toe if you must, but TAKE THE STEP. When I think back about this quote, I think back on that one time I was on a weekly mastermind with a few of our members..
We talked about our goals and how sometimes it can be overwhelming meeting those goals that we underestimate what we’re capable of achieving. I recall a member of ours who came out and shared his thoughts on this topic.. He talked about what he feels is the most important factor when achieving anything in life..
..and that is making a commitment to yourself to SHOW UP every day. He continues on to saying that all the road blocks he personally encountered along the way had figured itself out once he showed up every day without fail with the intention of doing his best. When I think about it, this holds so much truth..
Firstly, I truly believe that big things can happen if you just start showing up. We as a society think that in order to make a difference, we have to make all of these huge sacrifices and big changes in order to do so. Although it is important to take calculated risks when going after what you want, it’s not all entirely the case. To make big changes in your life, you need to start by SHOWING UP every single day, even when it’s hard. Because once you do that with the intention of doing your best, change will inevitably happen. When I began my entrepreneurial journey, yes I was overwhelmed and I was nervous..
Having no experience in online marketing what so ever, I underestimated what I was capable of doing. But I knew that this was the direction I wanted to take and I would do anything in my ability to make it happen for myself. So I started showing up everyday.. I was open minded, willing to learn, ready to take on challenges and learn new skill sets. I knew it wasn’t going to be easy, but I was committed to showing up with the intention of doing my best because that was the only way I saw myself progressing. I also focused on my journey and my journey alone. I didn’t compare my progress with others, if people were ahead of me in terms of learning things that I didn’t know much about, I wouldn’t beat myself down for it. I knew that everyone has a different journey, we’re all going to go through road blocks, we’re all going to make mistakes along the way, some may overcome it quicker than others, but at the end of the day, it’s our individual journey and if we just make that commitment to ourselves to always show up, you will ultimately figure things out. So I started applying this mentality to most aspects of my life. I’d show up to the gym most days of the week, even if I didn’t always feel like it. I’d show up more in my relationships by reaching out to my parents more who live overseas and spending more quality time with my partner doing date nights each week. I’d show up more in my work, by making a commitment to learn something new every day that would help me progress further towards my goals. I made that commitment to show up every day in these aspects of my life, as I know that over time, I’d ultimately be making a positive difference in my life. My message here today is that when you truly understand the power of just showing up and the power of never giving up, you will learn the true meaning of success. Change and growth require you to start somewhere and grow from there. It’s one thing to make a huge leap and another to accept that each leap is a stepping stone that will take you closer and closer to your end goal. It was soul-crushing. I felt like I was just going through life on auto-pilot, unhappy with the life I had created for myself. And I wasn’t the only one. The majority of people I knew hated their jobs. They were sick of the grind. They were tired of office small-talk. Their cubicle mates drove them insane and answering to a boss who loved to power-trip made their eyes twitch. It wasn’t just us either, studies show that 70 per cent of people around the globe hate their jobs or feel disengaged while at work. Until I came across a guy named Stuart on Youtube who eventually became my first mentor. 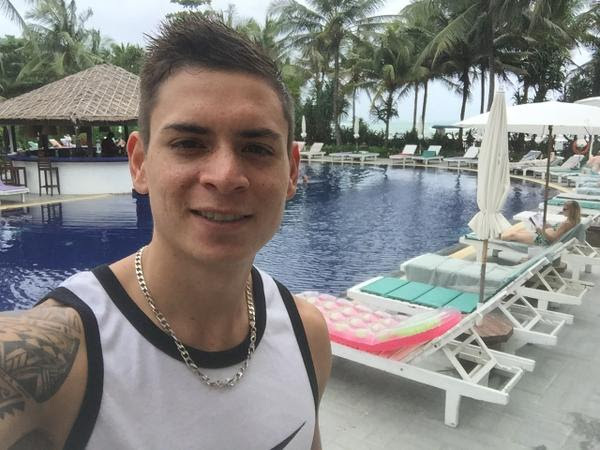 You see, he worked online, was immersed in running an online business based on affiliate marketing. He made more money than I had ever seen anyone make, while working far less than anyone I knew. The minute he explained it all to me, I was hooked. He showed me his system and I decided to commit to making this lifestyle a reality. Now, if you have no idea what is meant by ”affiliate”… Don’t stress. I’m about to break it all down for you and explain how you can leverage the power of affiliate marketing to replace your income, screw the 9-5 and live the life you’ve been meaning to live! Before we dive into the how-to of this simple online business model, you probably want to know what the heck it even is. Simply put, affiliate marketing is the process of recommending a companies products or services to potential customers, generating a sale and earning a commission in return. Now where the money comes in is when you link to the product you are recommending, using a personalized link with a tracking code attached to it. If the reader then clicks your link and buys that product, you receive a commission. 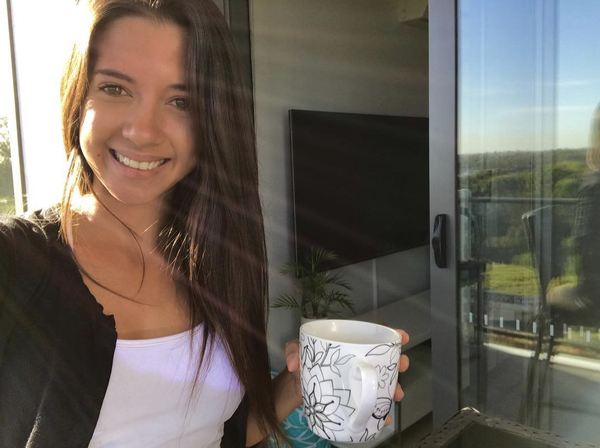 I mean, not only is it easy to get your site up and running, but this model is the lowest barrier to making money online, apart from hocking some random skills and services on Fiverr. Oh, and it’s incredibly easy to scale. 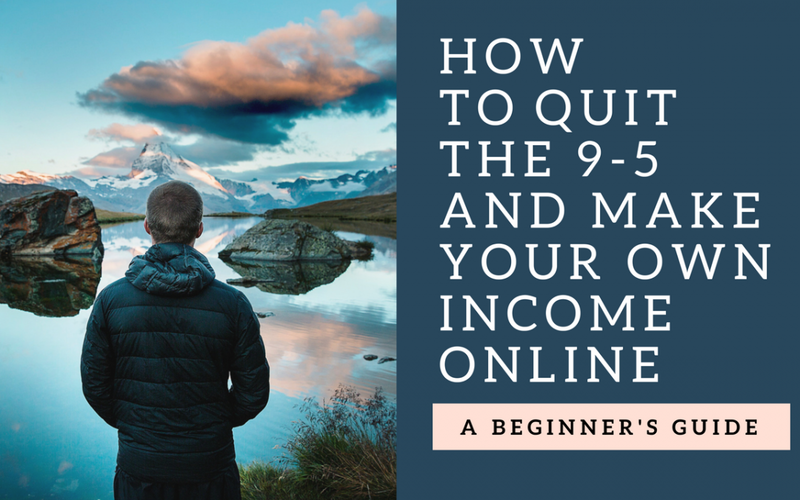 So, how can you get started with affiliate marketing and move towards escaping the 9-5? Although this is just the first step of the process, a lot of people can get hung up on the fact that they want to find the “perfect” product. But here’s the thing: What may seem like the perfect product to you, may not jive with what your potential customers really want. And ultimately, you are selling to them, not you. Go to Amazon.com, click on “shop by department”, and scroll through the list of sub-categories that sit under the major product categories. By doing this you should be able to see which products seem to be the most popular within those sub-categories, making your job that much easier when it comes to identifying a product people will actually pay money for. Start creating a list of at least 10-15 products you could promote, and move onto the next step. Now that you have found a potential product to promote, it’s time to vet that bad boy and see if you can make any money off it. To do this simply open up a Google search and compose your search as such: product name “affiliate”. This way of searching will tell Google that you only want to see results that are relevant to that product and have the words “affiliate” somewhere on that page. Typically this exists in the form of a link which you can then click to go directly to the affiliate program. From there, just read through their instructions and guidelines and apply to be an affiliate for them. Once that is taken care of you will need a cyber-home to promote that product. I know, this is starting to sound intimidating, but trust me creating your own website these days is jaw-droppingly simple. All you need is WordPress and a few YouTube tutorials! While it might take a little tweaking to get it right, you can have your site up and running in under a week flat, and best of all, for under $20. Yes, seriously. Once you’ve got your site up and running, you’re going to have get something up on that site that entices your readers to buy. These days, the key to almost every single online business is content. No ways around it. So if you really want to make a good go out of your new affiliate website, you are going to have to buck up and write a few hundred words on the product. Fortunately, there are 4 simple styles of content you can create to captivate your ideal customer, get them to click on your links, and buy the product. Just remember to always position your product as the go-to option for any reader looking for a solution. Of course, if you just not sure what to say about the product start reading some articles other people have written on the product, or niche in general, to stoke your creativity and inspire your inner writer. Marketing. It’s the lifeblood of any business because it’s what gets you more customers. More customers = More Money. You can do this two ways, free or paid. Free ways to get people to your website include getting your site ranking on google or growing a following on social media platforms like facebook or youtube. If you want faster results, try paid marketing. Like mastering Google Adwords, Facebook ads or Youtube Ads. While both (free and paid) are essential, I personally prefer mastering paid advertising because it allows you to scale your business more quickly. From there it’s all a matter of tweaking, testing, and scaling. But, let’s be honest, wouldn’t you rather spend your time building your own income online than building someone else’s business between the hours of 9 and 5? P.S. Want to learn the exact same system I used to quit my accounting job and make my own income online? You can get the details here. Do you need to be young like ourselves to be successful working online? Well… I’d probably say that you’re only too old for this if you decide you’re too old for this. You know, over the years we’ve worked with retired individuals right into their 70s. 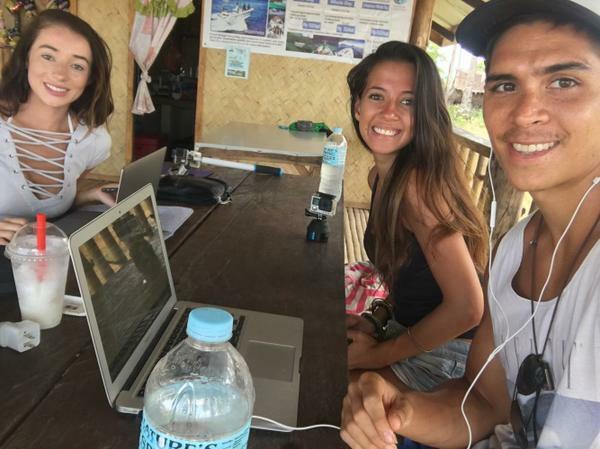 In fact, a couple of students in their 80s have gone on to earn income on the internet so there’s no doubt about it that the answer is ­ nobody is too old to do this as long as they want to do it. Several years ago one of the difficulties with being successful on the internet is the technology inside was a lot more complicated—getting set up with websites, different business models. Just to get them off the ground took a lot more technical know­how. So if you were somebody who maybe isn’t used to technology—you don’t like change—then you wouldn’t be getting off to the best possible start. However, the great thing about what we’ve been able to do here with our business model is leverage a kind of out­ of ­the ­box system—there are some things that you need to learn about the system, there’s a few things that you need to do to set up but it really is just about following a series of videos. And I would say this ­ when I look at all of the successful students over the years, the one thing that they had in common certainly hasn’t been how old they are. It’s been about their will to do this, it’s been about their commitment to actually following the training, putting things into practice and making things happen. And I’ve got to tell you a couple of things. I’m extremely passionate about helping, let’s say the baby boomer era, I think they have an amazing job to give us the opportunities that we have today. Without my parents’ generation, for example, doing the good things that they’ve done—society would be very different, we wouldn’t have the opportunities that we have right now. And I think this is a great way for us to give back. So I love working with the older students—baby boomers, if you like. The other thing I would say is that one of the things I think people fear when they’re maybe a little older, is that in getting started in business there’s not going to be other people like them to network with; maybe they won’t fit in, maybe, you know, they’re going to turn up at our events and they’re going to be the oldest person in the room. And I could put your mind at rest, you know, actually I discovered the average age at this time in the SFM community is late forties (40s) —at forty eight (48) to be precise—and that’s the average age and we have so many members who are in their fifties (50s), sixties (60s), even seventies (70s) who are doing this. And I know there are other educational companies out there who are experiencing exactly the same. I think there’s a lot of people who are coming up to retirement or who have retired and they want an opportunity to be able to live life as best as they possibly can and quite often that means more money. But they don’t want to be working in a supermarket or they don’t want to be doing some type of part­ time job. Many, many of our students have said ­ I’m overqualified for most of the part ­time jobs out there. I’ve got a lot of experience in dealing with customers or I’ve been a consultant or being in retail jobs in the past. So they want to feel challenged and they want to do something that’s exciting and I think an internet business offers all of that. 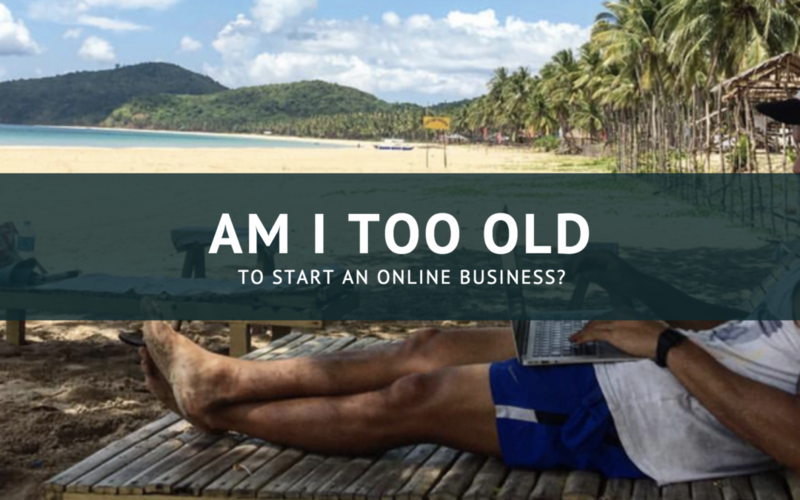 So definitely ­no worries at all when it comes to being too old to work with our community and start a business on the internet. If you’re interested in learning more about our system or wondering how you can get started working online today, I highly recommend you click here and watch this video. Over the past 3 years, my life has changed dramatically since leaving my secure job driving trucks and entering this whole new world of entrepreneurship. 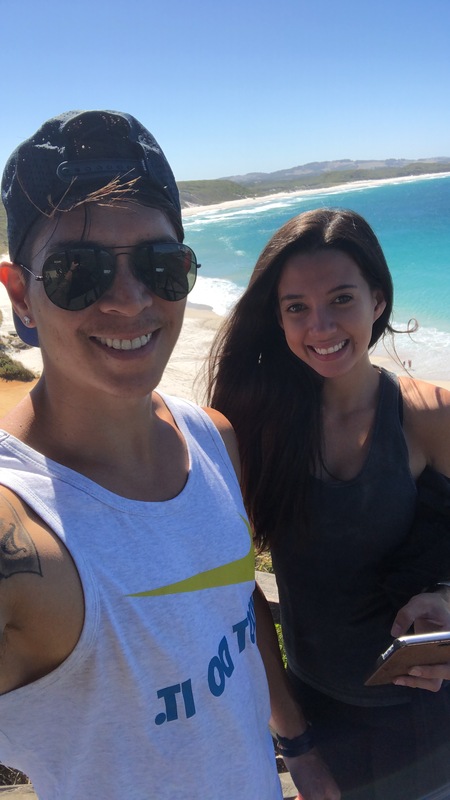 I’ve travelled to over 20 countries and now closing in on 2 million dollars in online commissions less than six months after earning the first million. Just because I am able to do it, does that mean that everyone else is able to do it? Today I wanted to give a shoutout to one of our personal students who has had massive success in a business that was foreign to him only 6 months ago. 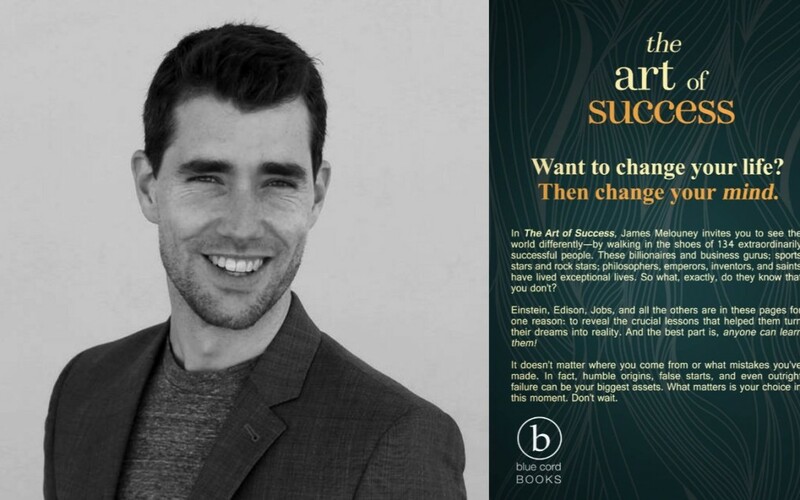 His name is James Melouney and you could say he’s got an advantage because he is a best-selling author of the book The Art Of Success. Little did I know he was a best-selling author until just recently when we attended a private mastermind in the Dominican Republic in late February. It’s only the 24th March and James is already closing in on 20k commissions for himself this month. And because he is in our downline for our affiliate marketing business we earn commission on his sales which have already equated to over $4000. All passive income and 100% profit for us. 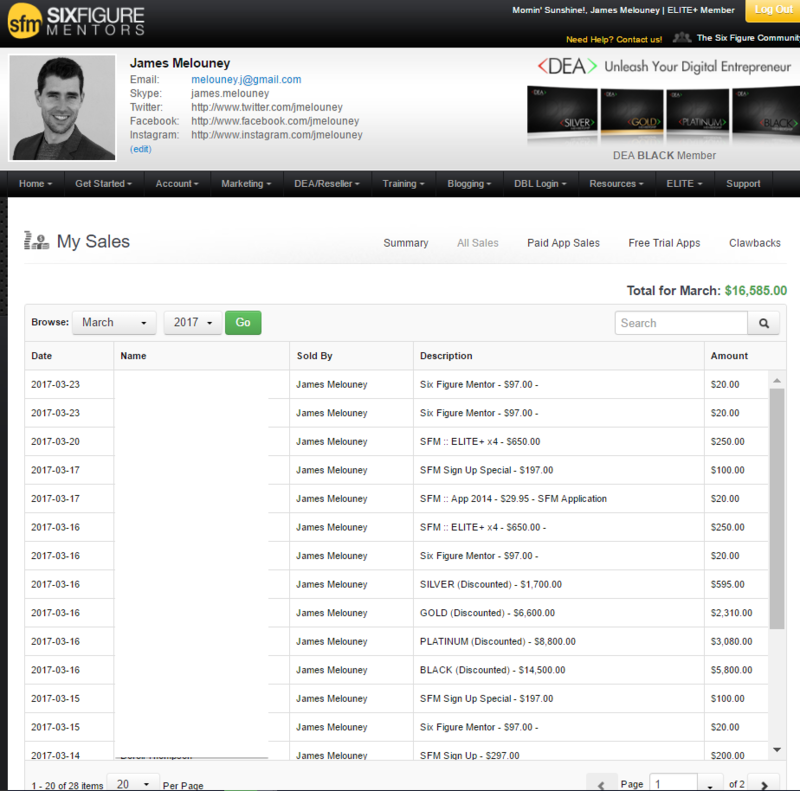 Below is a screenshot of our earnings from the sales James has made this month. Above you can see that we earn 10% on any product our sub-affiliates sell off the Digital Experts Academy and $10 each month as a subscription fee of the Six Figure Mentors. Our referring affiliates Lee and Tami have earned over $150,000 within 2 years from our success. So we are looking for other leaders who can duplicate our success. That’s why we hold weekly webinars and private masterminds for our team so that they can learn strategies, mindsets, and skill sets from people getting results. 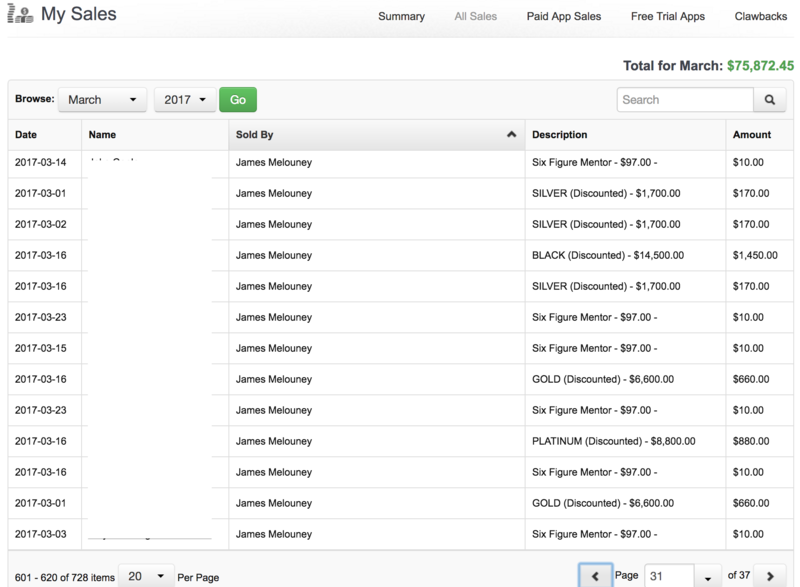 Below is is a screenshot of James total sales up to the 24th March. Very impressive for only a newbie only 6 months in. 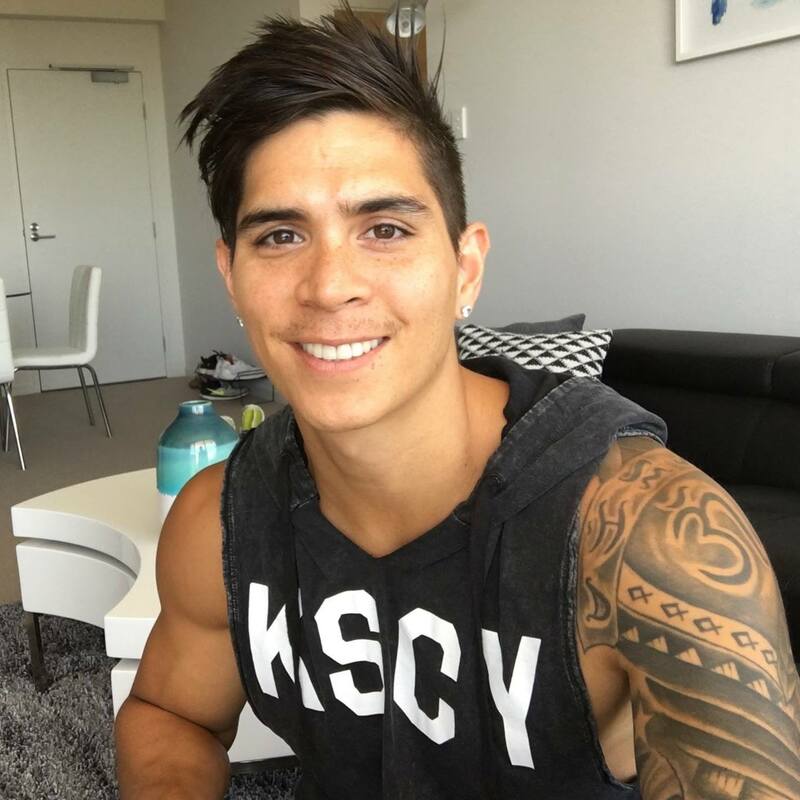 James applied the education he learnt from the Six Figure Mentors, along with their very powerful business system. Pay attention to the high ticket products ($1000+) he was able to sell which earned him the bulk of his commissions. It’s why most people struggle to make enough online because their margins are too small for the products they are promoting. It is a lot easier to sell one product that earns $5800 per sale than a smaller priced product of $50. You would have to sell a $50 product 116 times to earn the same amount of commissions for that one sale. 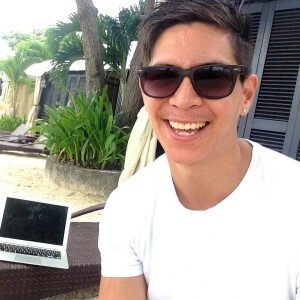 James is now in a very fortunate position to scale his business by reinvesting into more paid traffic. 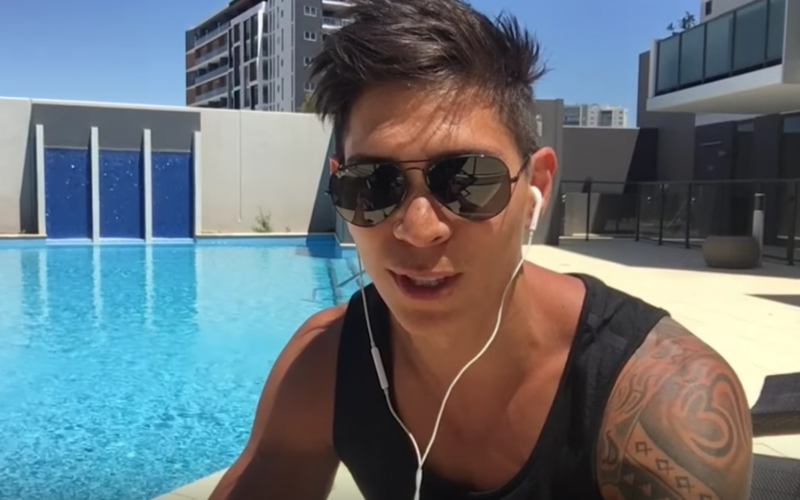 No doubt he will have created a 7 figure business for himself within the next 24 months because of his mindset around this business, combined with the huge leverage of knowing how to use the internet. This email is just some inspiration to the possibilities for anyone who is ready to face their fears and get to work. Don’t believe all the hype of making 50k in less than 90 days with all the false promises in the vast amount of opportunities. It took over 12 months for me to get any momentum in my business and it could have been very easy to call it quits without seeing the results. You can become financially free and secure your future doing something you love, instead of waking up every day doing something for the sake of it. James is only one example of our team members who got success with this business in a short amount of time. We have others members now pulling in over 40k per month and I am super proud of every one of them because of the growth I’ve seen in them, and the massive impact they are having in this world. Remember that the only difference between someone successful and the newbie who is willing to do the work.. IS TIME! You can get a copy of James book The Art of Success on amazon for only $3.86. Keep working hard towards your goals. If you want to check out what the Six Figure Mentors is all about you can take a risk-free 30 day Free Trial. Then it became about the freedom…. Then it became all about YOU. Creating financial independence through starting an internet-based business is definitely one thing we can help you with… but it’s not the only thing. And I definitely don’t recommend you remain inside your comfort zone for the rest of your life. You only have one life… LIVE IT! Find your vehicle (whether that be an online business, forex trading, real estate investing, network marketing… commit to mastering it… work hard to create financial independence and experience true freedom! Because real success in my opinion is FREEDOM… Freedom to be you! What if I told you that you already have everything you need to become successful? I wanted to share that knowledge with you today because I know it will help you tremendously in this roller coaster journey we call life.